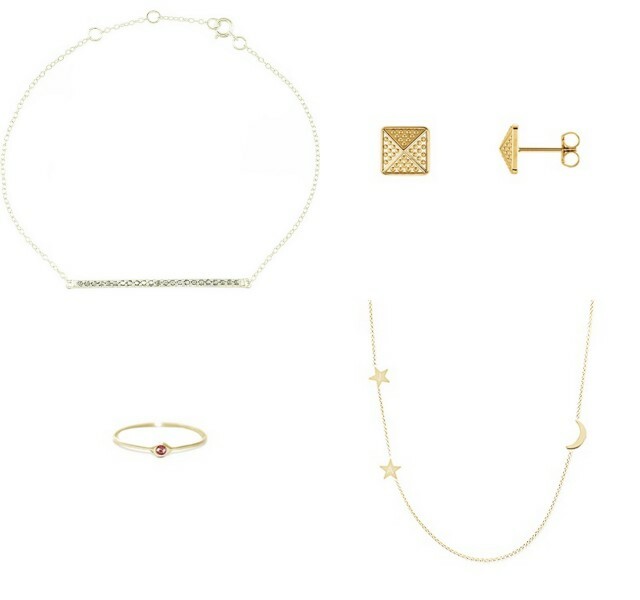 Holiday Wish List: Yellow Gold! This post is written in partnership with JULIAN & Co.
P.S. To ensure delivery in time for Christmas, place your JULIAN & Co. orders by December 10! oh, girl - it looks like we have the same taste in jewelry! In Sardinia yellow gold is really big too, and I have several pieces in yellow gold that were gifted to me, but are a bit too... shall we say "heavy"? for my taste ;-) So as a teen I basically ran the other way and have opted more for silver and white gold, which I still love for everyday; but lately I have found myself wearing more gold and gold-toned pieces, and the above are all fabulous! I think I need to add that moon-and-stars necklace (GoT reference? ;-)) and those studs to my Christmas wishlist!